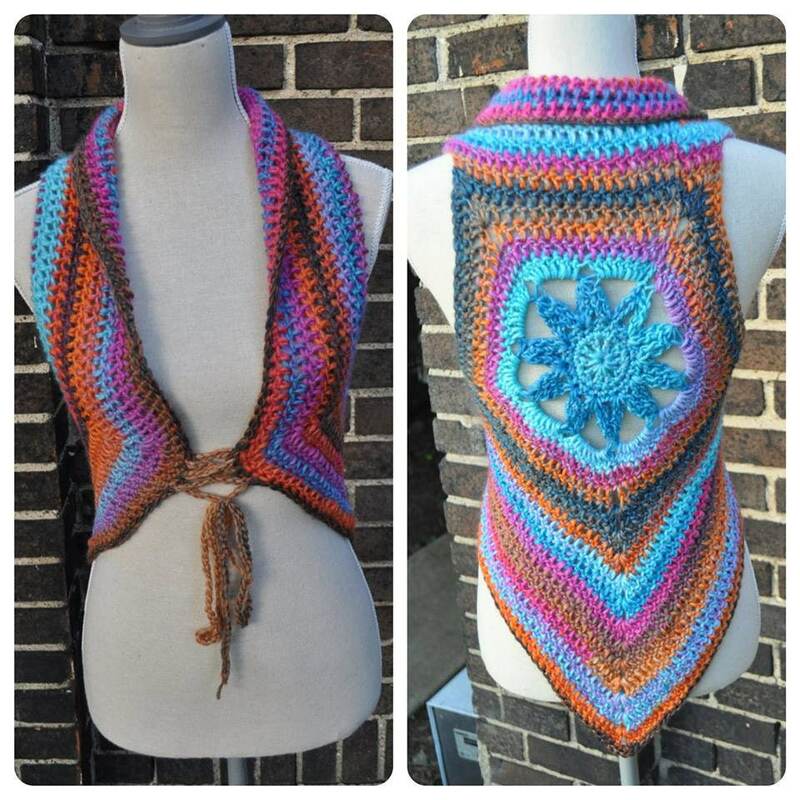 This vest features a flower mandala on the back, pixie point edging, button front, and rolled collar. 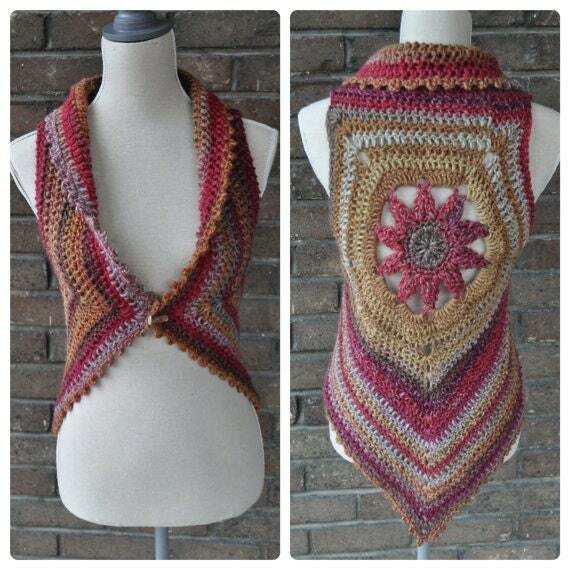 These vests are super flattering to your curves and look great over pretty much anything. 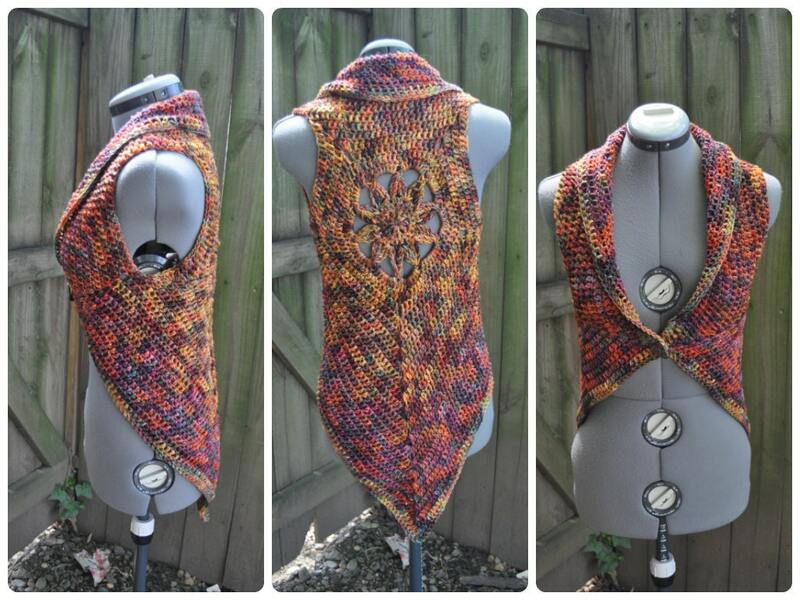 The pattern includes information on how to make the vest in small, medium, and large sizes. 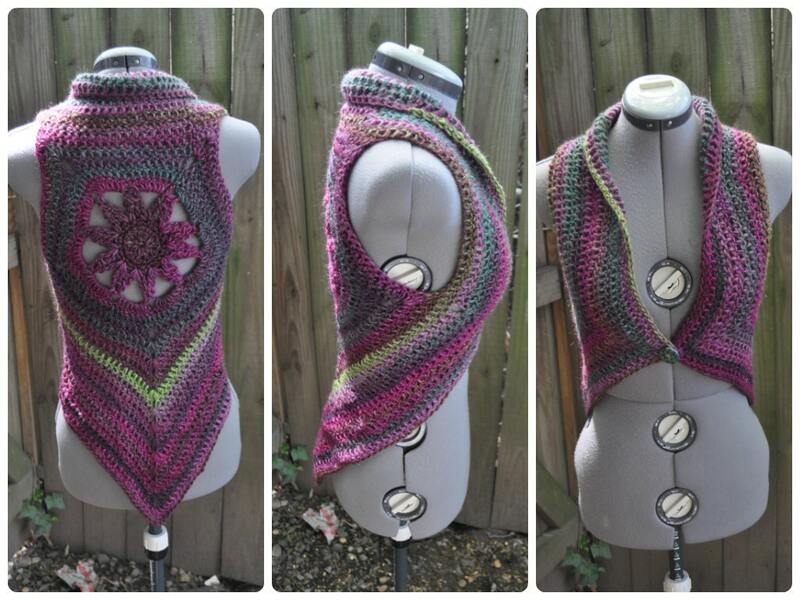 Circular crochet has a lot of stretch, so these measurements have some wiggle room. If you're between sizes opt for the larger size if you'd like it to be roomier and opt for the smaller size if you'd like it to be more form fitting. This pattern may not be edited, copied or redistributed without my permission. 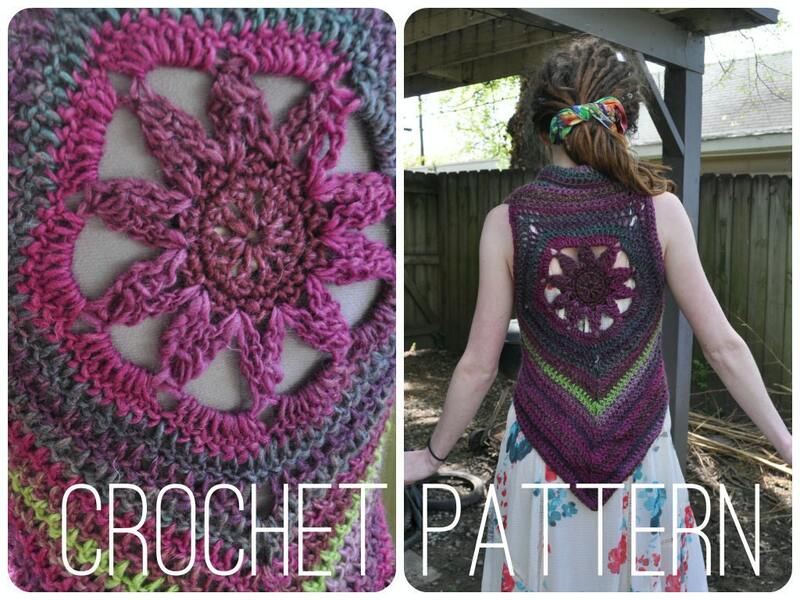 Great, easy to read and understand pattern! Really nice product and pretty easy to follow. Only 4 stars because I think the flower (especially round 4) would really benefit from a drawn diagram of the stitches, especially considering the price of the pattern. 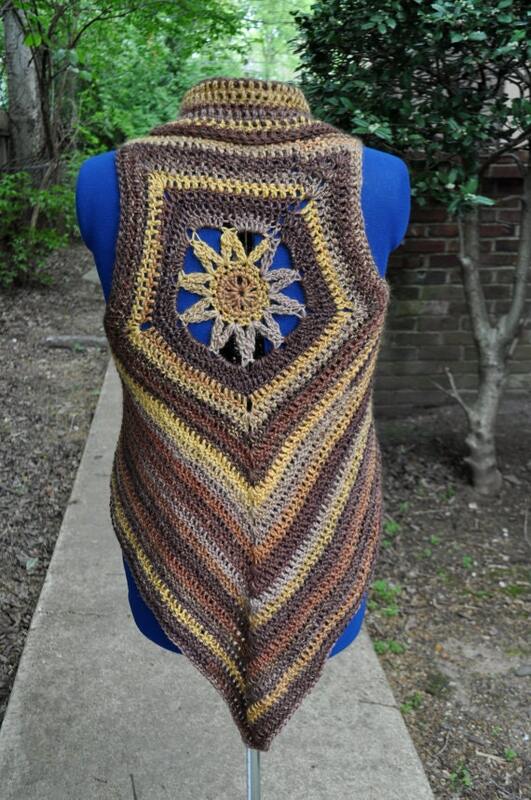 Well written pattern, very pleased with the result.